The process of removing excess naturally occurring fluoride(>4 ppm) from drinking water to reduce the prevalence and severity of health issues including skeletal fluorosis causing bone fractures, dental fluorosis or even cancer, employs various methods of defluoridation. 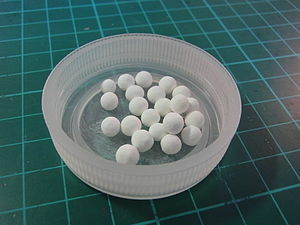 One of the effective means is by dispersion of odorless and non toxic activated alumina balls produced by heating aluminum oxide at high temperature to function as a selective adsorbent in fluoride filters. It is a potent fluoride filter with tunnel like pores that aids large surface area against water thereby removing fluoride content in excess. Activated alumina filters can effectively reduce fluoride levels from .5 ppm to less than .1 ppm with a fluoride uptake capacity of about 5000mg/kg. It requires an ideal pH of up to 5.5 for treatment but independent of temperature changes in order to which approximately 95% removal rate. The bed can be regenerated with a solution of 2% sodium hydroxide, 5% sodium chloride and sulphuric acid. The removal capacity of the medium has been found around 800 mg/L of fluoride/L of Alumina. The ability of activated alumina and efficiency of filter beds depends on many factors such as chemistry of water, its hardness, presence of silica or boron, etc. Activated alumina serves many advantages such as better adsorption, strong catalytic activity, maximum porosity, high dispersion rate and large specific surface. 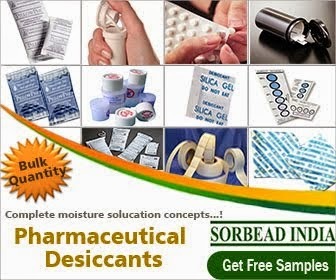 It can be put into multiple roles as an absorbent, desiccant and catalyst carrier. Activated alumina defluoridates simply by behaving as the anion exchange resin. It has wide range of applications in ethylene and propylene, hydrogen-generation, separation of air, air drying of instruments and fluorine water treatment along with its action in absorbing pollutant material like sulphides, HF and paraffin in the waste gas, especially in the drinking water defluoridation. The fluoride coats the surface of the alumina and with time the cartridge needs to be replaced at least once a year. The use of activated alumina in alumina filter system is an economical and most recommended method. I think this How to remove Fluoride from water article will fully complement your article. PLease continue publishing helpful topics like this. Regards, from CWR.